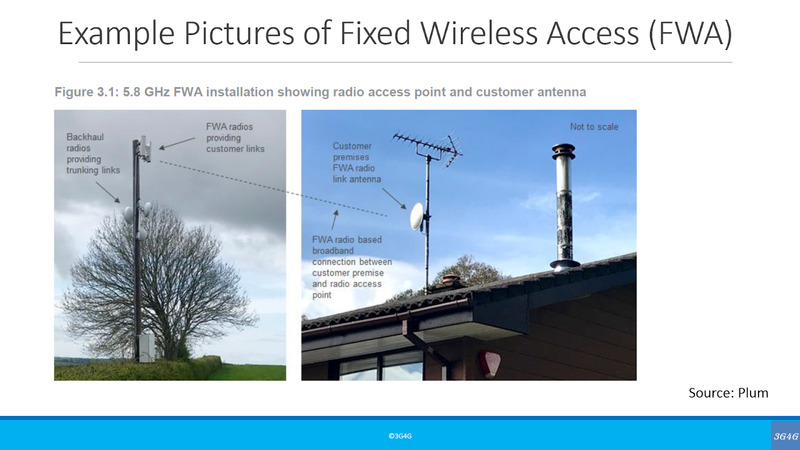 We have just produced a new tutorial on Fixed Wireless Access (FWA). 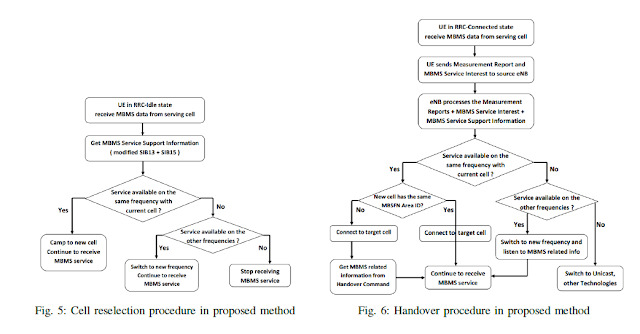 The high level introductory tutorial looks at what is meant by Fixed Wireless Access, which is being touted as one of the initial 5G use cases. This presentation introduces FWA and looks at a practical deployment example. One use-case that has gained prominence is the use of 5G to deliver fixed wireless broadband services. We have identified 20 tests so far that have specifically focused on the fixed wireless access (FWA) use-case, which is five more than three months ago. Embedded below is the video and presentation of the FWA tutorial. If you found this useful, you would be interested in other tutorials on the 3G4G website here. Many regular readers of this blog are aware that back in 2014 I wrote a post looking critically at LTE-Broadcast business case and suggested a few approaches to make it a success. 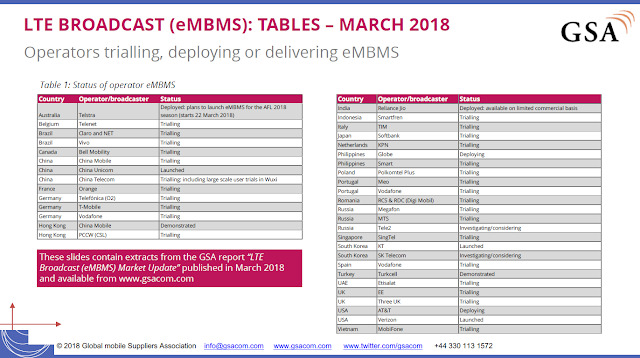 Back in those days, 2014 was being billed as the year of LTE-Broadcast or eMBMS (see here and here for example). I was just cautioning people against jumping on the LTE-B bandwagon. Its good to see some operators now getting ready to deploy eMBMS for broadcast TV scenarios. eMBMS will also be used in Mission Critical Communications for the features described here. Telstra is now streaming live sports content to a massive base of around 1.2 million devices each weekend and sports fans consume 37 million minutes of live content over our apps on any given weekend. This increase brings new challenges to the way traffic on our mobile network is managed. Even though a large group of people might be streaming the same real-time content at the same time, we still need to ensure a high quality streaming experience for our customers. This challenge makes our sporting apps a prime use case for LTE-Broadcast (LTE-B). Earlier this year, we announced we would be turning on LTE-B functionality on the AFL Live Official app for Telstra customers with Samsung Galaxy S8 and Galaxy S9 devices. Following extensive testing, Telstra is the only operator in Australia – and one of the first in the world – to deploy LTE-B into its mobile network. At a live demonstration in Sydney, over 100 Samsung Galaxy S8 and Galaxy S9 devices were on display showing simultaneous high definition content from the AFL Live Official app using LTE-B. Its interesting to note here that the broadcast functionality (and probably intelligence) is built into the app. The use of LTE-Broadcast technology changes the underlying efficiency of live video delivery as each cell can now support an unlimited number of users watching the same content with improved overall quality. To date though, LTE-B technology has required that a dedicated part of each cell’s capacity be set aside for broadcasting. This had made the LTE-B business case harder to prove in for lower streaming demand rates. 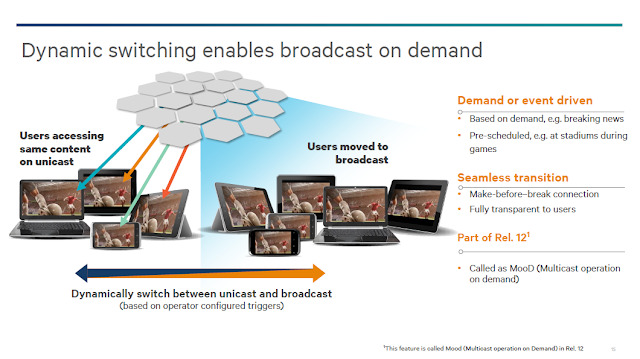 This has now changed as Telstra and our partners have enabled the world’s first implementation of the Multicast Operation on Demand (MooD) feature whereby cells in the network only need to configure for LTE-B when there are multiple users watching the same content. This combined with the Service Continuity feature allows mobile users to move around the network seamlessly between cells configured for LTE-B and those which are not. Earlier this year we announced our intention to enable LTE-Broadcast (LTE-B) across our entire mobile network in 2018. With MooD and service continuity we are one step closer to that goal as we head into another year of major growth in sporting content demand. Supported by technology partners Ericsson and Qualcomm, Telstra has now delivered world first capability to ensure LTE-B can be delivered as efficiently as possible. Service Continuity will allow devices to transition in and out of LTE-B coverage areas without interruption. For instance, you might be at a music festival streaming an event on your phone but need to leave the venue and make your way back home (where LTE-B is not in use). Service Continuity means you can continue to watch the stream and the transition will be seamless – even though you have the left the broadcast area. Taking that a step further, MooD allows the network to determine how many LTE-B compatible devices in any given area are consuming the same content. MooD then intelligently activates or deactivates LTE-B, ensuring the mobile network is as efficient as possible in that location. For example, if a die-hard football fan is streaming a match we will likely service that one user with unicast, as that is the most efficient way of delivering the content. However if more users in the same cell decide to watch the match, MooD makes the decision automatically as to whether it is more efficient to service those users by switching the stream to broadcasting instead of individual unicast streams. Its good to see Ericsson & Qualcomm finally taking eMBMS to commercial deployment. Back in 2015, I added their videos from MWC that year. See post here. I think the Telstra post already provides info on why MooD is needed but this picture from Qualcomm whitepaper above makes it much clearer. Back in 3G MBMS and early days or eMBMS, there used to be a feature called counting, MooD is effectively doing the same thing. 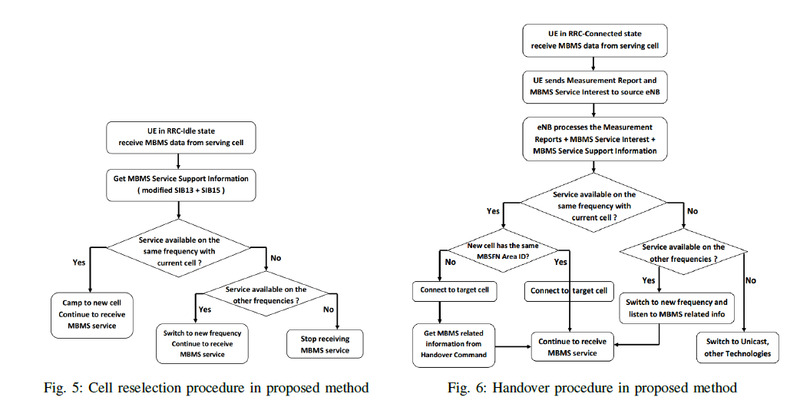 For Service Continuity, this paper 'Service Continuity for eMBMS in LTE/LTE-Advanced Network: Standard Analysis and Supplement' by Ngoc-Duy Nguyen and Christian Bonnet has interesting proposal on how it should be done. I cannot be sure if this is correct as per the latest specifications but its interesting to learn how this would be done when the user moves out of coverage area in Idle or connected mode. Note that this Expway paper also refers to Service continuity as Session continuity.